The President of the Republic of Moldova Igor Dodon had a meeting with His Holiness, Patriarch Kirill of Moscow and All Russia. The interlocutors discussed several issues regarding the support of Orthodox and family values in the Republic of Moldova. During the meeting, the head of state said that our peoples have common spiritual values and a common Orthodox Church. 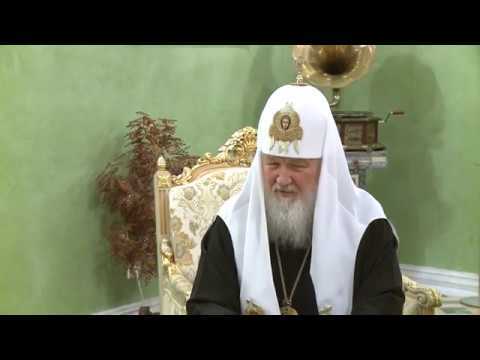 "The Church of Moldova is an integral part of the Russian Orthodox Church. It was, it is, and I'm sure it will be so. The overwhelming majority of Orthodox Christian believers in Moldova are of the same opinion", the President of the country said. In addition, the parties discussed the terms of the patriarchal visit of Patriarch Kirill to Moldova. In the context, Igor Dodon expressed the hope that His Holiness would visit our country in the next time. His Holiness granted the President of the Republic of Moldova the Order of "St. Sergius de Radonej ", second degree, for the attention paid to the active support of the church public initiatives of the Orthodox Church in Moldova.